Test a missile, get a pod. North Korea tested a missile. The big one. An ICBM. 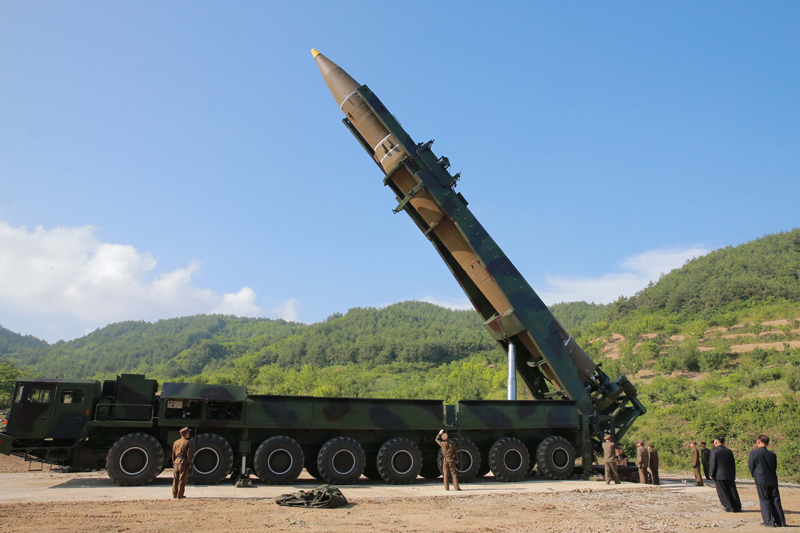 To discuss recent events, Aaron, Jeffrey, and Scott talk about the KN-20/Hwasong-14, how we got here, and what we know about the missile. The pod about the Hwasong-12, the immediate precursor to the Hwasong-14, including discussion of the DPRK’s engine developments. Ankit Panda’s article that first mentions the KN-20 designation and that the U.S. observed the missile for around 70 minutes prior to launch (and Russian denial that the KN-20/Hwasong-14 an ICBM… a topic for another pod). And, for your viewing pleasure, the Hwasong-14 and Kim Jong-Un doing the Smooth Criminal lean in the bottom right.